Learn the foundations of processes and practices for IT projects in the context of an Agile environment. Become a valued member of a Scrum Agile team! Are you looking to take your Agile skills to the next level? In this course, you will learn the essential aspects of the Scrum methodology for working in an Agile team. There are many practical examples and exercises focusing on Scrum principles, ensuring the key concepts are translated into your day-to-day role. With more and more jobs requiring Agile experience, and an understanding of the Agile methodology and practices, secure your position in the industry with this highly respected, internationally recognised course and certification. The certificate can also be used as a stepping stone towards obtaining the iSQI® Certified Agile Tester qualification. Developers, business analysts, and testers wanting to become familiar with core Agile principles and techniques to effectively work in an Agile environment. Senior project personnel, such as project managers and IT directors, looking for a solid grounding in the Agile methodology. Agile testers seeking a stepping stone towards the iSQI® Certified Agile Tester qualification. Anyone involved in development projects wishing to accredit their Agile skills for recognition among employers, clients and peers. "A well run course with great practical exercises to reinforce learning outcomes. 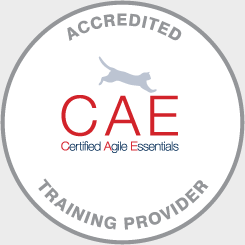 I would recommend this course to anyone wanting a foundation level course for Agile." The iSQI® Certified Agile Essentials examination is a 1 hour closed book, 40-question multiple choice exam. Candidates must score a minimum of 26 to obtain certification. The examination is sat separately from the course and is independently administered and assessed.